Whether you need short term storage or long-term option for storing your belongings, you should consider storage Orlando provided by AAA Insta- Move. Our professionals know how to handle your items, so you don’t have to worry about their safety. 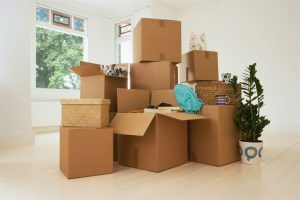 Whether you are moving your home or you are downsizing office we offer a wide range of storage services to meet all your household or business needs. As premier storage units Orlando, our professionals are dedicated to keeping your belongings safe and secure. With safe storage solutions and great customer services, we are successfully expanding our network of satisfied clients. Do you want to work with professionals you can trust completely? Then, you should hire AAA Insta-Move company. Our BBB accredited agents are your best ally in moving and storing your most precious items. We guarantee quality with a high standard of excellence. If you decide to store in our facilities at Stanford, you can have a peace of mind knowing you have picked the best! Also, a member of FMWA and AMSA our company is dedicated to staying up-to-date so you can be sure you’re receiving only the best service. Mobile Storage– Mobile storage makes it simple and easy to store on-site and just the way you want it. Portable Storage – Our portable storage containers give you the control to store wherever you require. Storage Facility – We operate a 17,000 square foot state-of-the-art facility that offers both fire and theft protection. Household Storage– Families of all shapes and sizes depend on our reliable storage services for their belongings, furniture, and seasonal equipment. Records management – If the document boxes at your office are stacking up, make some space while keeping them safe and archived with our records management services. On-Site Storage – Whether you won’t be able to move into your new home right away or you need a flexible self storage solution that will give you extra storage space without the hassle and expense of a renovation, the Orlando on site storage solutions from AAA Insta-Move are exactly what you need. Moving and Storage – When you need affordable and reliable Orlando moving and storage services, trust the experts at AAA Insta-Move. We keep our customers happy for 20 years! For twenty years, AAA Insta-Move has kept the cherished and high-value belongings of households and businesses alike safe and secure. Our main goal and satisfaction are to keep our clients happy. You can feel confident and relaxed knowing that all your most precious belongings are in safe and capable hands. Our professionals in storage Orlando are skilled and trained to handle any type of your move, providing you with best storage solutions for all your needs and budget. We proudly put your needs first, so you can get the best services. Our agents handle all your household or business items with respect! We offer affordable and secure Sanford storage services for any size relocation and budget. Our selection of storage container options not only make relocation simpler and safer, they also provide a flexible solution for any occasion. Whether you’re remodeling, relocating, or freeing up some much-needed office space, we are sure to have the perfect storage option for you! Flexibility: You’re getting easy-access short and long-term options that allow you to pack and store on your own terms and timeline. Courtesy: We are a family-owned business that provides each customer with the personalized service they deserve. Reliability: Your on-site storage containers are expertly delivered by a licensed and insured moving company. Professionalism: We are BBB-accredited and with the American Moving & Storage Association, and our crew is always in uniform and ready to work! Customization: Whether moving locally or long-distance, we work hard to accommodate your needs for a streamlined relocation that’s efficient and affordable. If you are tired of searching for reliable services you need, we hope AAA Insta-Move can satisfy all your wishes. If you are not sure why to pick us, you can always give us a call to talk to all represantitives. We are happy to answer to all your questions. Also, you can fill out our online form to get a free estimate. Our storage Sanford FL proudly offers wide range of services that you can add to your storage needs. From pickup and delivery to comprehensive moving solutions, our experts are capable of being your best ally in moving process. From 1997, our professionals are dedicated to provide you with excellent services. Call AAA Insta-Move today to get started on your storage requirements. Keep your most precious items and records safe with our portable moving storage containers. This is a great solution when you need some extra space for your business or household items. Also, if your new home isn’t ready for the delivery of your belongings, than our Sanford on site storage containers are your ideal solution! Without big expenses and mess in your home, our portable storage containers are great room to store your belongings. We offer flexible packages, ensuring that you are able to use our onsite storage containers for as long as you may need. Best of all, housing your items in our portable containers allows you the convenience of retrieving them with ease, eliminating the hassle of traveling to a storage facility. Why should you opt to store your belongings in our storage containers? Your search for convenient, flexible storage can end here by contacting us at the phone number: (407) 330-7320. Providing outstanding storage services in Sanford is our business! Storing your belongings, especially those that are valuable or fragile, you want to have peace of mind. You want to avoid headaches and worries. With our storage Sanford FL you can be sure your items are in safe and secure place. This is our business, to keep your belongings safe and protected in Sanford storage facilities. With our warehouse solutions you can feel good! Your satisfaction is our prime goal, that’s why we offer affordable prices because our customers deserve it! We want to make your move as easy as possible. And, storing in our facilities as pleasant as possible. With our storage solutions, you will have a great moving experience and always safe place for your extra stuff. There are many storage units in the area, but we are the best! With many storage companies in Orlando it is very difficult to hire one that you can trust completely. With out storage Sanford FL you get more than just storing your belongings. We offer a variety of options to make you happy. You can store without breaking the bank! Besides different size of storage units, packing services with our storage facilities you don’t have to worry about the budget! We want to make you happy that’s why our storage services are customized to reduce the worries about additional costs. We save you money, time and energy! With reliable storage facilities in Orlando, your belongings are safe and protected. There is no better thing than having peace of mind while your items are stored somewhere else than in your house. Our storage units Orlando are well maintained and climate controlled. Your belongings are protected from humidity, dust, and temperature changes. So, you don’t have to worry about damages, yellowing, and mold. In our facility, your things are secured with the best security systems. Because of our convenient storage services you are free of all heavy parts of transporting your belongings to storage. Forget about the heavy lifting and transportation of your belongings to the facility. Our portable storage containers are a great way to store and transport your items to the required location. With our help, you will easily find the unit to fit your needs and requests. Hire our storage company to get safety, full accommodation, and peace of mind. No matter you want to store, we have you covered!